﻿Online: Click the "Click here to give" button on this page to be taken to our secure donation site. Once there, you can indicate to which fund you are giving. Sunday offering: Place cash or a check in the offering box located at the Information Center on Sunday at church. If you are giving toward a specific fund, offering envelopes are available so that you can indicate to which fund you are giving. Kiosk: Credit and debit cards can be used at the digital giving kiosk at the Information Center on Sunday at church. Church Center App: Download the Church Center App (Available on the App Store and Google Play). Select Life Pointe Church and Log in. Select the "Give" tab on the bottom. Select the amount and then you can indicate to which fund you are giving. Text-to-give: Text the amount you want to give to 84321. Your gift will go to the general fund. If you'd like to give toward a specific fund, type the appropriate keyword after your gift amount. Backpack Ministry fund: keyword "backpack"
Vision Next fund: keyword "vision"
Mail: Mail a check to: Life Pointe Church, PO Box 8266, Lacey, WA 98509-8266. If needed, giving envelopes are available at the Information Center on Sunday. If you'd like your gift to go toward a specific fund, include a note with your check indicating to which fund you are giving. ACH: Set up an automatic withdrawal through your bank. Contact your bank for instructions. ﻿Amazon Smile: On your first visit to AmazonSmile (Smile.Amazon.com), you are prompted to select a charitable organization from the list of eligible organizations.  Please search for Life Pointe Church of Olympia. You can change your selection at any time. After choosing your charitable organization make sure to always shop from Smile.Amazon.com for a portion of your purchase to benefit Life Pointe Church. ﻿Fred Meyer Community Rewards: Sign up for the Community Rewards program by linking your Fred Meyer Rewards Card to Life Pointe Church at www.fredmeyer.com/communityrewards. You can search for us by our name (Life Pointe Church of Olympia) or by our non-profit number 89179. Then, every time you shop and use your Rewards Card, you are helping Life Pointe Church earn a donation!